Hello there and welcome. Ever need a quick birthday card? Well here is one that will fit the bill. I just chose 8 rainbow colored Stampin' Up! 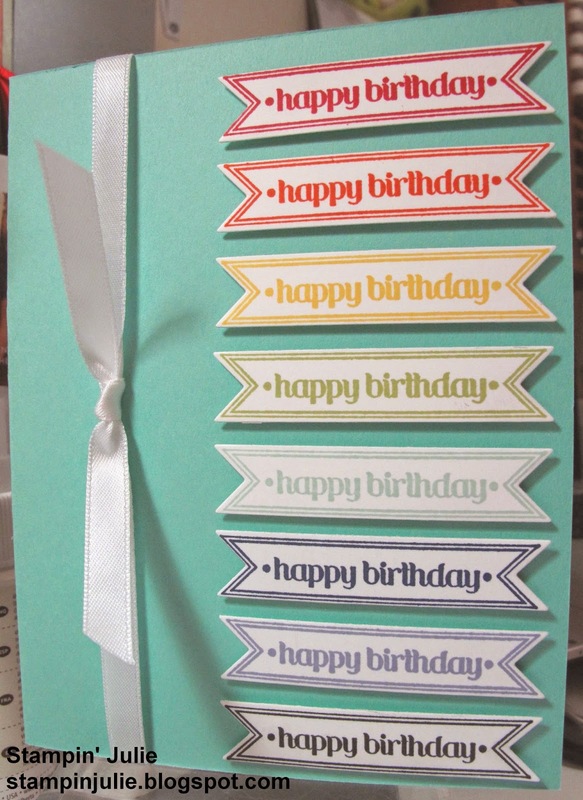 ink pads and stamped the Itty Bitty Banners Happy Birthday stamp several times. 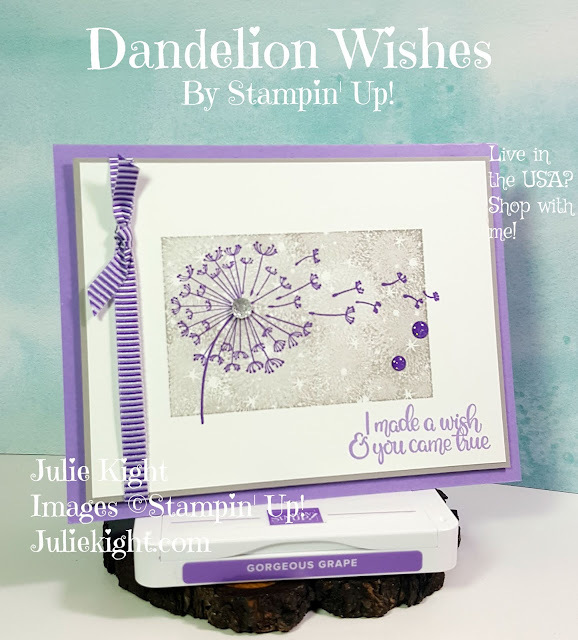 I then attached them to the card base with Stampin' Dimensionals. I used some White ribbon tied around the card to finish it off. It came out perfect.